Housing took center stage this past week. Housing starts, new and existing home sales, and Case-Shiller home prices gave us an idea of what the American housing market looks like. Question: If you had to guess what stage of the business cycle the housing market says we’re at, what would you guess? The economy has been expanding for just over 9 years now. Perhaps this would indicate we’re close to peaking? 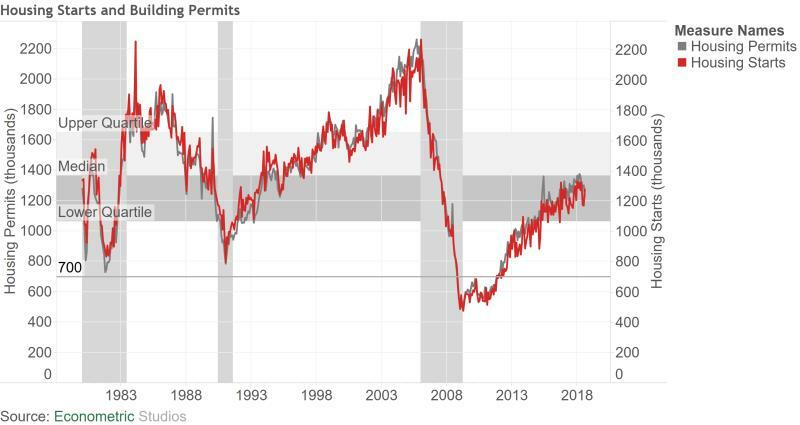 Then again, the younger generation has been slow to take part in the housing expansion, so maybe we’re in the middle of an expansion? 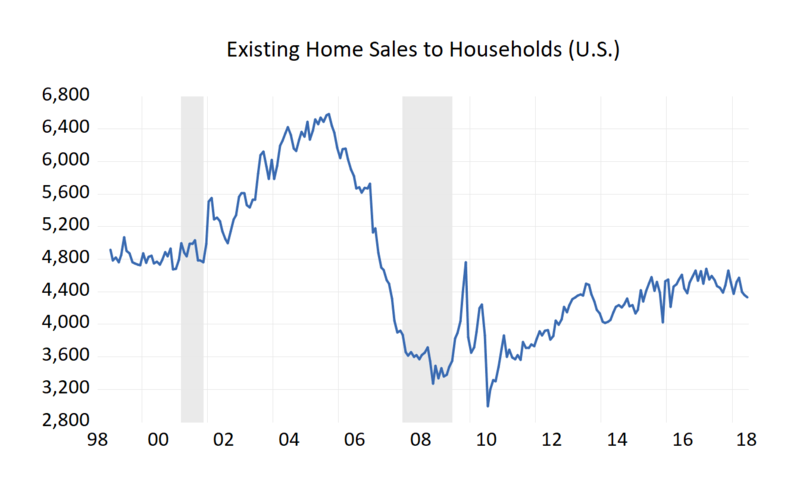 Household formation has been quite strong of late, maybe this would say we’re just starting to enter another housing boom? First up, housing starts. Housing starts came in at 1.282 million, an increase of 108,000 over July’s figure. Since bottoming at 478,000 in April 2009, housing starts are up 804,000. The median housing starts figure since 1980 is 1.366 million. 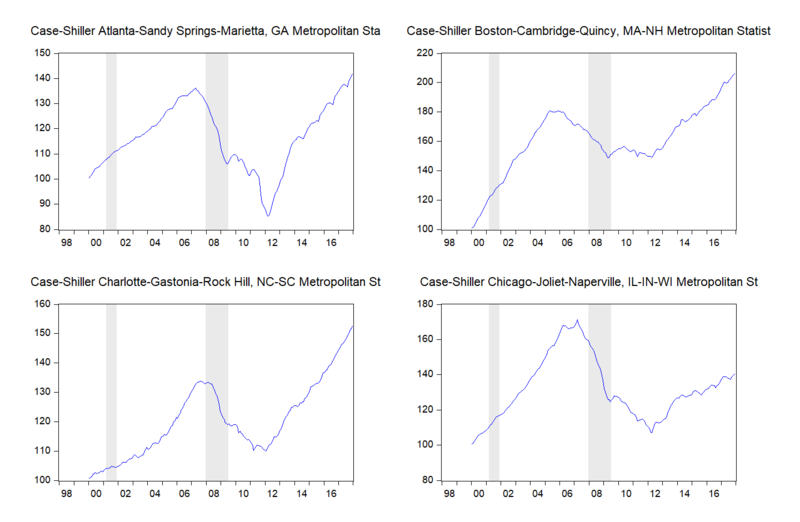 The prior two recessions saw housing starts peak at 1.972 million and 2.273 million. How long until housing starts reach say 90% of the 1.972 million figure? At an average monthly gain of 8,000 per month (what we’ve seen this expansion), that’s 62 months, or just over 5 years. That puts us in 2023 for the next recession. 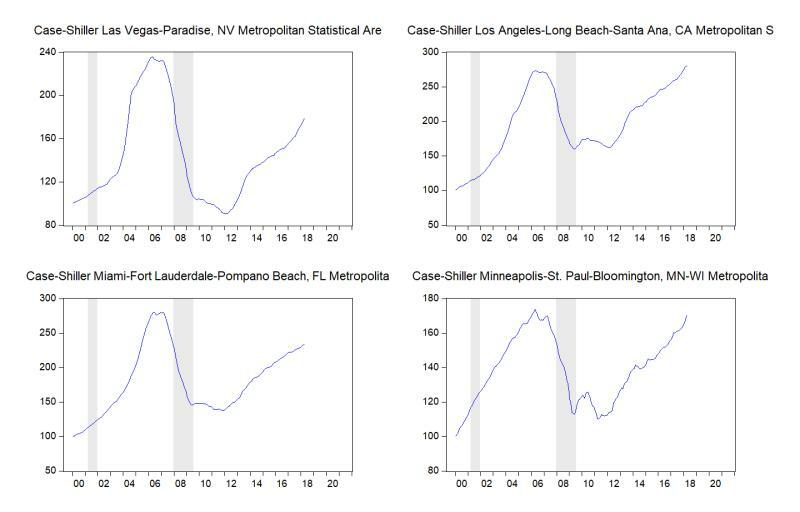 The shorter of the two measures, Existing Home Sales peaked at 5.5 million prior to the 2001 recession. Existing Home Sales provided no lead time in this case. In contrast, Existing Home Sales peaked at 7.3 million in 2005, 2 ¼ years before the formal 2008/2009 recession began. The most recent figure, 5.4 million for August 2018, is in murky territory. No indication here. Of course, if one divides Existing Home Sales by the number of U.S. households, there picture is more positive. 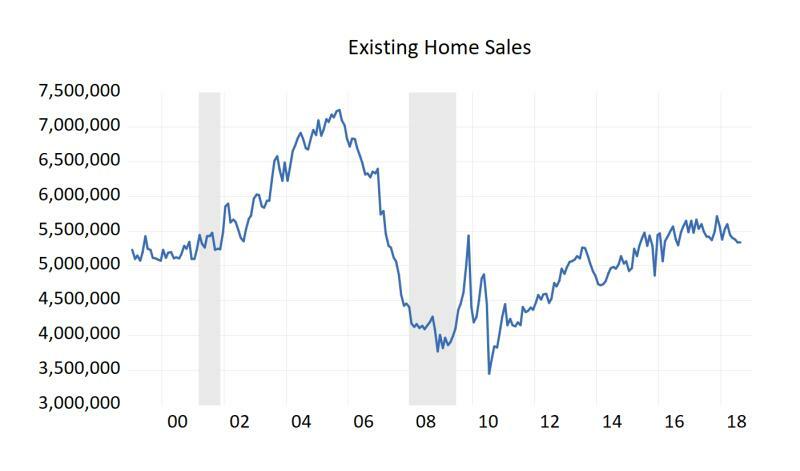 As of now, Existing Home Sales per household is not booming, nor deteriorating. 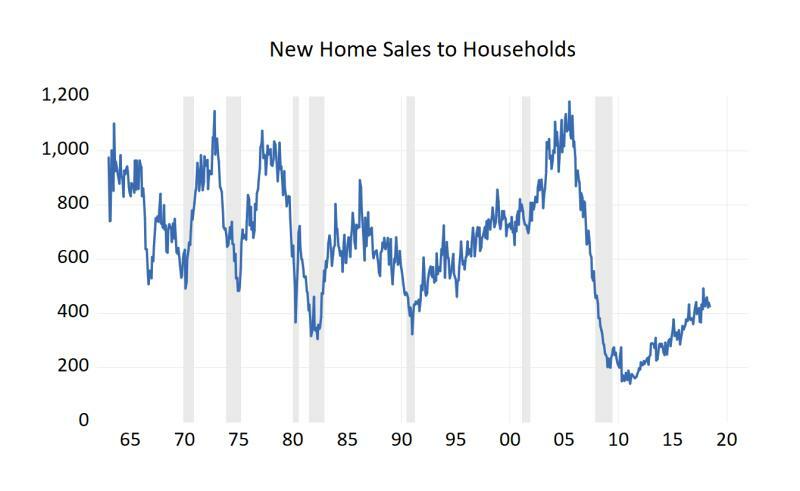 New Homes Sales to households provides a clearer picture. The measure at 426 is below any prior measure prior to a recession. The measure peaked 2 ½ years at 1,182 prior to the 2008/2009 recession. The lead was also 2 ½ years prior to the 2001 recession. The lead was 5 years prior to the 1991 recession. Taking the average of these 3, the next recession is in early 2022. 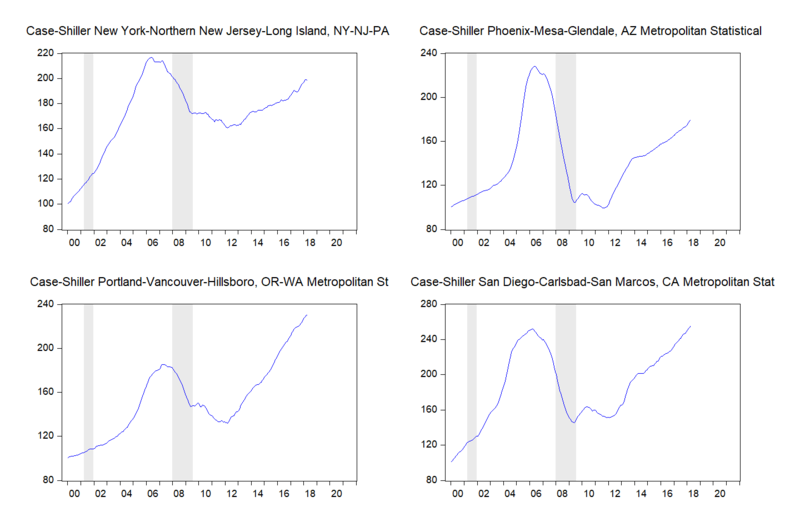 Lastly, the Case-Shiller home prices. Of the 20 cities reported, 10 have surpassed their housing market boom. 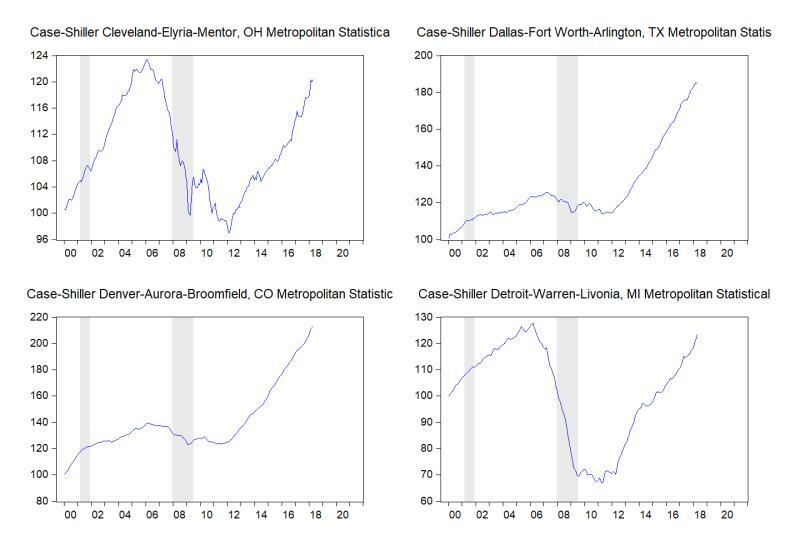 Some are way past their prior peak, such as the über-booming Dallas-Fort Worth, Texas area. 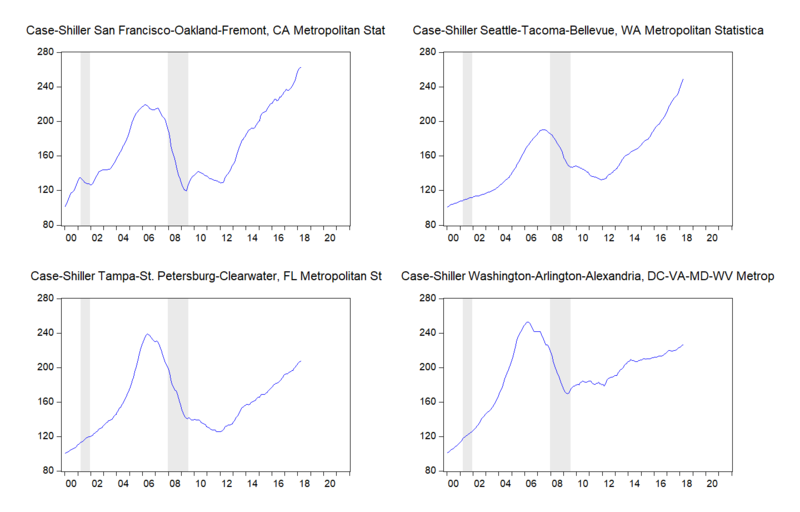 Some cities are really booming, and probably need some of a breather. Other cities have many years of expansion left in them. If one looks at the lead time housing starts, existing home sales, and new home sales provide for the economy, the 3 measures are saying the economy has at least another 3 years until a recession, and perhaps another 5.